Like affiliate marketing, informational products are another great way to earn money online, as long as you don’t need to generate a stable income stream from day 1. There are a ton of great training programs out there that can help you get started selling information products, including Clickbank and Udemy, but let’s take a look at a few of the advantages and disadvantages before you dive in and write that ebook. 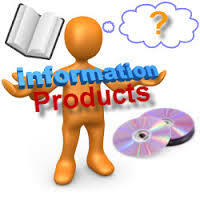 I’m a firm believer that information products have the ability to earn you a ton of cash. The idea is simple: you spend time to create a product once, and then you can resell it over and over again. Thanks to the magic of the internet, you can do so with virtually no overhead costs and even create subscription-based models where your profits will grow month by month as you recruit new customers. There are even a lot of low-cost platforms out there that will take care of all of the logistical headaches for you, such as managing the website, billing, and even the marketing (in some cases). They’ll do this for either a low monthly plus a small commission per sale, or simply on a commission based scale. That means that literally anyone could create an information product, and successfully have an income stream online. Of course, the downside is just that: virtually anyone could create an informational product to sell, have access to the same resources you do, and sell the product online. Competition is extremely fierce, and many information product creators face issues with other similar products. It’s kind of a double edged sword. If your product does well (which obviously you want) others will copy it, thus stealing your sales. That means that you’re likely going to be creating new products over time, or at least continuing to add to your existing product or service, just to stay ahead of the competition. The reality though, is that that’s not that different from any other business, online or off, and if done right, this can still be a very viable, profitable and sustainable way to generate long term income online. Learn more with our custom affiliate marketing training.